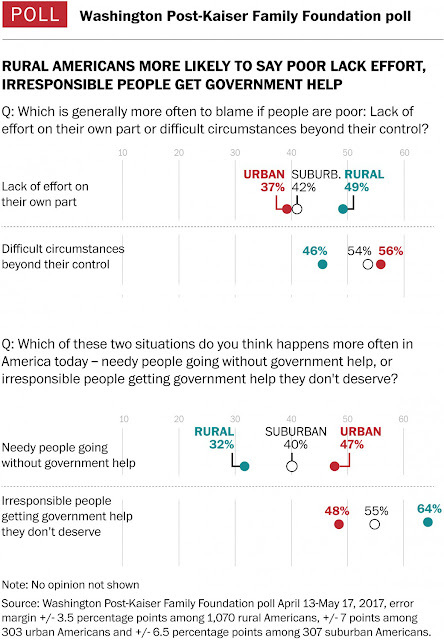 From 1996 to 2015, "the number of working-age adults receiving federal disability payments increased significantly across the country — but nowhere more so than in rural America," The Washington Post reports in the latest piece of a series on "how disability is shaping the culture, economy and politics" of 102 rural counties "where, at minimum, about one in six working-age residents receive either Supplemental Security Income, a program for the disabled poor, or Social Security Disability Insurance for disabled workers. 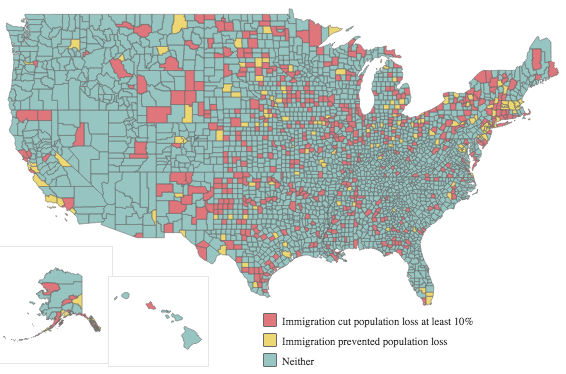 These are places — primarily white, rural and working-class — where once-dominant industries have collapsed or modernized and the number of people who are jobless or receiving public-assistance benefits has soared." One of those places is Grundy, Va., near where the Old Dominion meets Kentucky and West Virginia, and one of those families is the McGlothlins: a father who became disabled in the coal mines, became addicted to painkillers and is now in jail for selling them; a mother whose disability check isn't enough for her household, which includes her son's fiance; and the son, who got fired from McDonald's for "missing a shift during a snowstorm," then totaled his car and had to drop out of community college, and now begs for money -- following in the footsteps of his father, who was confronted personally and on social media by a neighbor who was offended when the disabled miner wouldn't accept a job offer, Terrence McCoy reports. McCoy gets into the head of Sheila McGlothlin: "She had wanted something more for him, something other than what she felt most days: shame. She knew how she must look, in her pajamas and mismatched socks, to people who work. She knew what they must say about her disability: It’s only anxiety, only depression. Why couldn’t she work? Why did she buy soda and cigarettes when they needed food? How could she afford the Internet and cable TV bills on a $500 monthly disability check? She would sometimes consider how she would answer. She would say that cigarettes and soda make hard days a little easier. That television is just about her only connection to a world that hasn’t seemed to want her anymore. But it’s simpler to say nothing at all, so she rarely leaves the house now." Construction of natural gas pipelines is increasing because of a boom in the gas industry from horizontal hydraulic fracturing, but with it comes increasing pushback from government watchdog groups, environmental organizations, and landowners who live in proposed paths of the pipes. Pipelines are permitted by the Federal Energy Regulatory Commission, but an investigation by the Center for Public Integrity and National Public Radio-backed StateImpact Pennsylvania raises questions about FERC's neutrality. They found that that FERC has rejected only two pipelines out of hundreds proposed over the last 30 years, and 80 percent of former commissioners went on to work at energy companies or the groups representing them. The outgoing chief of FERC under the Obama administration, Norman Bay, "surprised the gas industry and activists by cautioning that the federal approval process for gas pipelines was full of shortcomings, creating a risk of overbuilding. In a six-page essay filed as part of a commission proceeding, Bay, long an ally of the industry, opined that regulators are not paying enough attention to legitimate concerns about the long-term viability of the projects, their impact on global warming and the hardships they can cause for communities along their routes," reports Evan Halper of the Los Angeles Times. Environmental groups worry that 9,000 new miles of pipeline in the planning stages will reduce interest in renewable sources of energy. “If we build all this gas capacity, we will have a strong incentive to use it for its useful life, which extends well into the 21st century. That will blow our climate goals," said Michael Wara, an energy law scholar at Stanford University. Climate groups also worry that much of the gas that will be shipped through pipelines such as the proposed Mountain Valley Pipeline in Virginia will end up going to foreign countries through tanks of compressed gas instead of being used by Americans. They're also concerned that the pipeline would run through the Appalachian Trail and ruin iconic views. Some residents who live on land targeted for pipeline construction are refusing to grant easements, leases or sales. A family in central Pennsylvania was forced by a judge to leave their property to allow construction of the Mariner East 2 Pipeline. 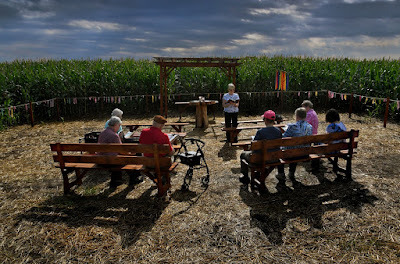 And some ecologically-minded nuns elsewhere in Pennsylvania built an outdoor chapel in the middle of land they were asked to temporarily turn over for the Atlantic Sunrise pipeline construction. Williams Cos. says they're only asking to pay for an easement to bury the pipeline. The nuns filed a complaint with the FERC saying that putting the pipeline on their property would violate their religious freedom, Julie Zauzmer reports for The Washington Post. The tactic might work because of the Religious Land Use and Institutionalized Persons Act of 2000. A new study funded by the U.S. Department of Agriculture says that lack of access to affordable health care is one of the biggest problems facing American farmers, affecting their risk management, productivity, health, retirement, the need for a secondary source of income, and land access for new farmers. 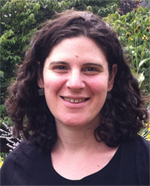 "The rising cost of healthcare and the availability of affordable health insurance have joined more traditional risk factors like access to capital, credit and land as a major source of worry for farmers," principal investigator Shoshana Inwood of the University of Vermont said in a press release. She conducted the study with researchers from the Walsh Center for Rural Health Analysis, part of the research organization Norc at the University of Chicago. The researchers interviewed farmers in 10 states, and sent 1,062 of them a mail survey in March 2017. In the interviews, many farmers said they knew someone who had lost a farm because of an uninsured illness or injury. Nearly three-quarters of the survey respondents said affordable health care was important to reducing their business risk, and half said they are not confident they could pay for a major illness without going into debt. "With an average age of 58, farmers and ranchers are also vulnerable to higher insurance premiums due to age-rating bands," the release said. Farmers are also likely to have pre-existing conditions (64 percent in the survey), so many of them took off-farm jobs in order to qualify for group insurance policies, which must cover such conditions. With passage of the Patient Protection and Affordable Care Act, “A number of farmers in their 50s we spoke with said they had left off-farm employment in the last five years to commit to full-time farming because they and their families would not be denied health insurance in the individual market due to pre-existing conditions,” said Alana Knudson, co-director of the NORC Walsh Center. Most states' expansion of Medicaid under the ACA was a boon to younger farmers, who said it allowed them to get health care for their children without having to take an off-farm job. There's another possible factor for young farmers: Almost half the farmers surveyed said they're worried they'll have to sell some or all of their farm if they need to pay for long-term medical expenses such as nursing-home care, and selling off land to the highest bidder could make it less likely that land is sold to young farmers who lack capital, said Inwood. Farmers are looking to the U.S. Department of Agriculture to represent their concerns in national health-policy discussions, said Inwood. “We have a shrinking and aging farm population,” she said. “The next Farm Bill is an opportunity to start thinking about how health insurance affects the trajectory of farms in the United States.” The bill is up for renewal next year. UPDATE, March 23: Brower bought the Times Record of Brunswick and the Journal Tribune of Biddeford, as well as the Mainely Media weekly publications, reports the Portland Press Herald, the only daily in the state that he will not own as of April 1. Maine resident Reade Brower will soon own four of Maine's seven daily newspapers and more than a third of its weeklies, Megan Doyle reports for the Portland Press Herald. 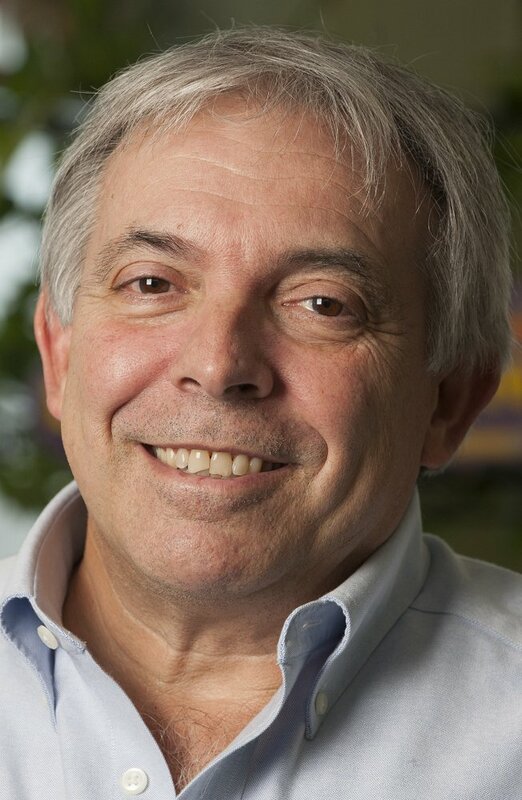 He plans to buy Sun Media Group, which publishes the Lewiston Sun Journal and smaller weekly papers; he already owns the MaineToday Media group, which publishes the Press Herald, its sister papers and four weeklies. Brower lives in Camden and also owns media companies in New Hampshire and Vermont. With the sale, Maine bucks the nationwide trend of local newspapers getting snapped up by large chains or investment companies. Only a handful of Maine papers are owned by investment companies such as NewMedia/GateHouse. A University of North Carolina study found that in 2014 investment companies owned 47 percent (more than 1,000) of U.S. newspapers included in the study. More than a third of the country's newspapers changed ownership from 2004 to 2014, some more than once. 'Today there are at least 600 fewer newspapers and almost 900 fewer owners than in 2004," researcher Penny Abernathy wrote. "Circulation has dropped 25 percent. As newspapers and owners fell by the wayside – and circulation declined along with profits – consolidation in the industry increased. The largest chains grew even larger, as a new type of owner emerged," one organized to make money, not to render public service. Maine may have avoided the trend because the state did not have many newspapers to begin with. “These chain owners like to have large groups of papers in one geographic cluster, and the population of Maine being what it is, you can’t really put together a particularly large cluster,” Dan Kennedy, a media commentator and associate professor at Northeastern University, told Doyle. But he said a group may be more attractive to advertisers. Economies of scale, combining functions among several papers, also may help the Maine papers stay financially strong. "In order to meet the changing demands in the digital world we live in, you need scale to do that," said Steve Costello, the vice president of advertising and marketing at Sun Media. Chains often cut newsroom staff and increase news sharing among papers, but "Brower said he won't try to cut costs by firing employees and consolidating operations." He told her, "We’re not going to do anything to disrupt the autonomy," Brower said. Press Herald Executive Editor Cliff Schectman said Brower is a "hands-off owner" who rehired almost every employee after his 2015 purchase. Rick Edmonds of The Poynter Institute said collaborations between papers could increase while still maintaining a healthy sense of rivalry. "Editors at the Sun Journal and the Forecaster weeklies said they hope a sense of competition will remain between the papers despite a common owner," Doyle reports. The White House Office of Management and Budget announced an "aggressive plan to roll back environmental regulations," Timothy Cama reports for The Hill. The list deals with a wide range of policy areas and "shows the extent to which this administration is determined to erase many of the Obama administration’s policy priorities," report Juliet Eilperin and Damian Paletta of The Washington Post. "In several instances, the administration is dropping rules aimed at tightening worker safety standards or omitting species the government had pledged to protect under the Endangered Species Act. In other cases, it is proposing new regulations that provide employers with more leeway in how they run their businesses or report their activities to federal officials." OMB provided new timelines or reasoning for several plans that had already been announced, such as repeal of the Clean Power Plan, which would limit carbon-dioxide emissions from power plants, and the definition of "waters of the United States" in the Clean Water Act. Next month, the Environmental Protection Agency plans to finalize its delays to "methane pollution limits for landfills and methane limits for oil and gas drilling," reports Cama. In January, it plans to propose a new procedure for cancelling or denying pesticide regulations, reports Arianna Skibell of Environmental & Energy News. In April, it plans to issue a rule allowing some notices about new uses of pesticides to be published on a new EPA page rather than in the Federal Register. In June it plans to propose an update to requirements for gathering data about pesticides that could threaten pollinators. OMB Director Mick Mulvaney said, “Our philosophy has been that the previous administration fudged the numbers — that they either overstated the benefits to people or understated the costs — and we are going to look at it in a much more pragmatic perspective.” The Post reports, "Consumer and worker advocates countered that Trump officials were scrapping critical government safeguards, and the implications of these actions could ripple across the country for years." The Interior Department prevented the superintendent of Glacier National Park "and a prominent climate scientist from participating in a highly publicized visit by Facebook founder Mark Zuckerberg" July 15, Dillon Tabish and Tristan Scott report for the Flathead Beacon in Kalispell, Mont. The episode was first reported by Lisa Rein of The Washington Post, who wrote, "The decision to micromanage Zuckerberg’s stop in Montana from 2,232 miles east in Washington, . . . was highly unusual — even for a celebrity visit. It capped days of internal discussions — including conference calls and multiple emails — among top Interior Department and Park Service officials about how much the park should roll out the welcome mat for Zuckerberg, who with the broader tech community in Silicon Valley has positioned himself as a vocal critic of President Trump, particularly of his withdrawal from the Paris climate accord." Park Superintendent Jeff Mow "is known as a climate expert who frequently tells visitors that the retreating ice sheets at Glacier are evidence of a climate undergoing rapid change," the Post reports. Also barred from meeting with Zuckerberg was "Dan Fagre, a well-known scientist with the U.S Geological Survey who’s conducted seminal research on climate change," the Beacon reports. 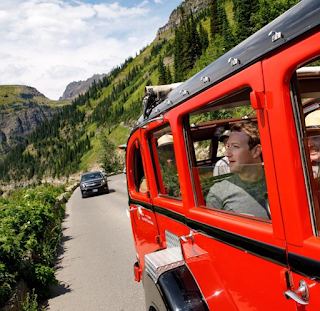 Rein reports that the decision was made by Interior press secretary Heather Swift, who told National Park Service staff "not to post anything about Zuckerberg’s visit on its Facebook or other social media accounts, including sharing a Facebook post he wrote during the visit in which he registered his alarm at the shrinking glaciers at the park, according to someone with knowledge of the directive." The Beacon says the episode was "the latest example" of Interior officials "wading into local matters in Glacier Park. In the last week, Glacier Park officials responded to a mandate from the Interior Department to abruptly alter its aquatic invasive species emergency response plan." The Interior secretary is Ryan Zinke, who was Montana's congressman. Investigative reporters often receive public acclaim, but community journalists may face an unsupportive community that feels embarrassed about misdeeds they uncover. That applies to student journalists, as the story of The Booster Redux, the student newspaper at Pittsburg High School in southeast Kansas, illustrates. The paper made national headlines in April when it reported that the school's new principal wasn't licensed and it couldn't find any evidence that her purported alma mater existed. The students worried about backlash from the start, but adviser Emily Smith said that she told them they didn't have to publish the story if they were too uncomfortable with that, Dylan Lysen reports for The Mercury in Manhattan, Kan. Speaking at at a recent high-school journalism workshop at Kansas State University in Manhattan, Smith said she told the students, "This is probably going to be the hardest thing you do in your life because you’re doing the right thing and it’s not always easy and it’s not always popular." Some backlash was more subtle. Though the school board fired the principal and thanked the students for uncovering the story, the school district's press release about the matter mentioned neither the national coverage the story had attracted or the fact that the students were invited to the White House Correspondents Dinner. "That sent a huge message to the teachers and the community that they did not support us,” Smith said. "It’s really weird, because we didn’t even want to go out in public because people were mad at us, and they still are." Smith said there are still unanswered questions about the principal's hire, since other news media have lost interest, but she isn't encouraging her students to pursue them. "We could have gone after that angle, but I really don’t feel like it’s my kids’ place to go find personal dirt,” she told Lysen. "To me it’s going to look like a vendetta." Construction workers lay a natural gas pipeline. The House of Representatives voted July 19 to streamline the federal permitting process for some oil and natural-gas pipelines, Timothy Cama reports for The Hill. The bill, sponsored by Rep. Bill Flores (R-Texas), would designate the Federal Energy Regulatory Commission as the lead agency for approving permits for interstate gas pipelines. The House also passed a bill by Rep. Markwayne Mullin (R-Okla.), that would put FERC (instead of the State Department) in charge of electric transmission lines and oil and gas pipelines that cross the Mexican or Canadian border. The president would no longer be required to issue permits for cross-border lines, a move that would prevent future presidents from delaying projects as Barack Obama did with the Keystone XL pipeline. Congressional Republicans say streamlining the review process will encourage timely decisions about pipelines, which will in turn create jobs and stimulate the economy. Democratic critics say that streamlining approvals is unnecessary because FERC already approves 90 percent of gas pipelines a year. President Trump has announced a list of nominations for key administration posts; one may prove controversial, Jerry Hagstrom reports for The Progressive Farmer. Former Trump campaign co-chair and rural Kansas native Samuel Clovis was nominated July 19 to be undersecretary for research, education and economics. 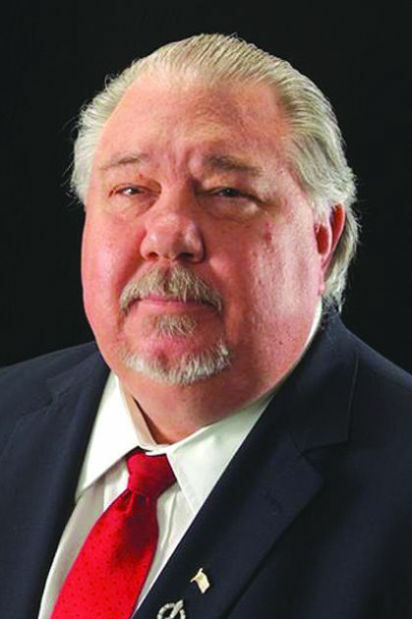 The controversy stems from Clovis' lack of scientific expertise, since the position he has been nominated for is expected to be the Agriculture Department's chief scientist. Under both Democratic and Republican administrations, each of the last five people to hold the job have had a master's degree and doctorate in natural sciences, so Consumers Union and the Union of Concerned Scientists weighed in against the nomination, Hagstrom reports. UCS noted that federal law requires the nominee to come "from among distinguished scientists with specialized training or significant experience in agricultural research, education, and economics." Clovis was an economics professor at United Methodist Church-affiliated Morningside College in Sioux City, Iowa. He "holds a bachelor’s degree in political science from the U.S. Air Force Academy, a master’s in business administration from Golden Gate University in San Francisco and a doctorate in public administration from the University of Alabama," Hagstrom reports. He has other credentials: chief ag-policy adviser and a national co-chair of the Trump campaign, during which he was "in an operation hoping to obtain Hillary Clinton emails from hackers," The Wall Street Journal reported. Now he is Trump's insider at USDA, as senior White House adviser to Secretary Sonny Perdue, who said Clovis "has become a trusted adviser and steady hand. . . . He looks at every problem with a critical eye, relying on sound science and data, and will be the facilitator and integrator we need." A graduate of both Army and Air Force war colleges, Clovis served 25 years in the Air Force as a command pilot and the inspector general of the North American Aerospace Defense Command and the United States Space Command. This store closed because of new competition. All over New England, small-town general stores are struggling or closing, Jennifer Levitz reports for The Wall Street Journal. 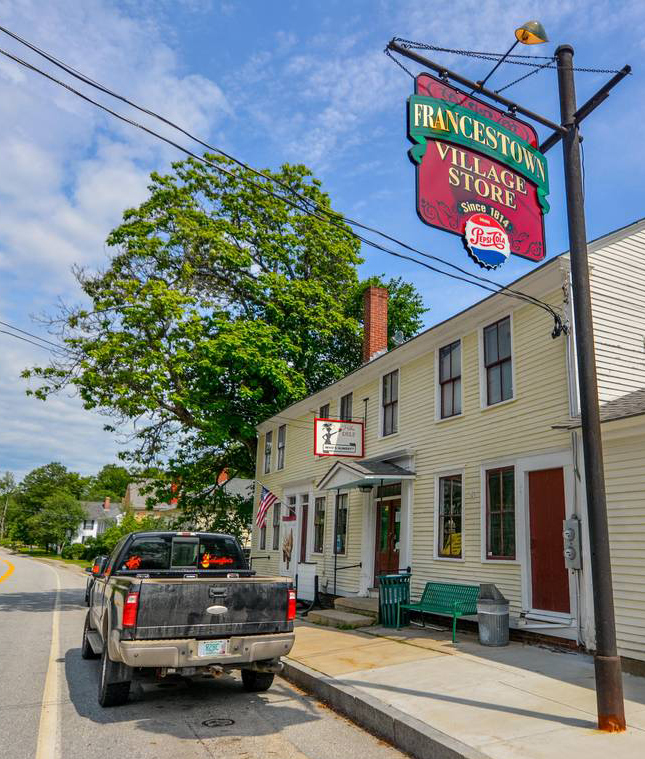 The Francestown Village Store in New Hampshire, which sold "everything from fresh-baked bread and live fishing bait to winter hats and groceries while offering a place where residents could gather and gossip" for 203 years, closed July 6; its owners said new competition is the main reason such stores are closing. Chain stores such as Dollar General, which has expanded rapidly in rural areas all over the U.S. in recent years, have buying power that gives them a wide selection, national name brands and prices that make it hard for mom-and-pop stores to compete. Increased online shopping is also siphoning general-store shoppers away, and small-town residents who increasingly commute to cities may stop at larger grocery stores on their way home, Levitz reports. Jack Garvin, chairman of the Vermont Alliance of Independent Country Stores, told Levitz that the state is losing three or four general stores a year, "and is down to about 80 from more than 100 a decade ago," she writes. "Along with more competition, aging owners who retire is another factor in the decline, he said." Some New Englanders are trying to save local general stores, saying that they're important to towns. 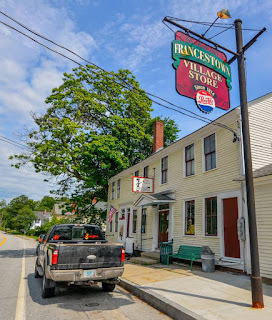 In Putney, Vermont, the local historical society raised money and took over the local general store to keep it from closing. In other places, local individuals are stepping up to buy struggling stores. Some stores are doing well by offering new items such as craft beer or prepared foods, and some are marketing themselves as tourist attractions. "If the Republicans anxious to rid the nation of Obamacare had a replacement plan they thought would be popular and easy to pass, they would have trotted it out" in past campaigns and held hearings on it. "The truth is repealing Obamacare was a great political strategy for Republican candidates. It gave them control of the both houses of Congress and the White House. However, as the world now sees, it became a policy bear trap when those lawmakers transitioned from politicking to governing. . . . Politicians should do more than tell us what’s wrong. They should campaign on their solutions." While Obamacare "has drastically reduced the number of uninsured Americans, there are many who remain uncovered," including millions in Republican-governed states like Alabama that didn't expand Medicaid. "The marketplaces for insurance aren’t nearly as competitive as they should be. There aren’t strong-enough incentives to convince young, healthy people to enroll, something that would spread out the risk pool. Obamacare doesn’t focus enough on wellness and good health habits, a long-term project that would keep Americans from needing expensive medical treatments related to smoking, drug use, obesity and an inactive lifestyle." "Republicans and Democrats can and should work together to improve these challenges. More importantly, they should do this work in view of the public, not behind closed doors." 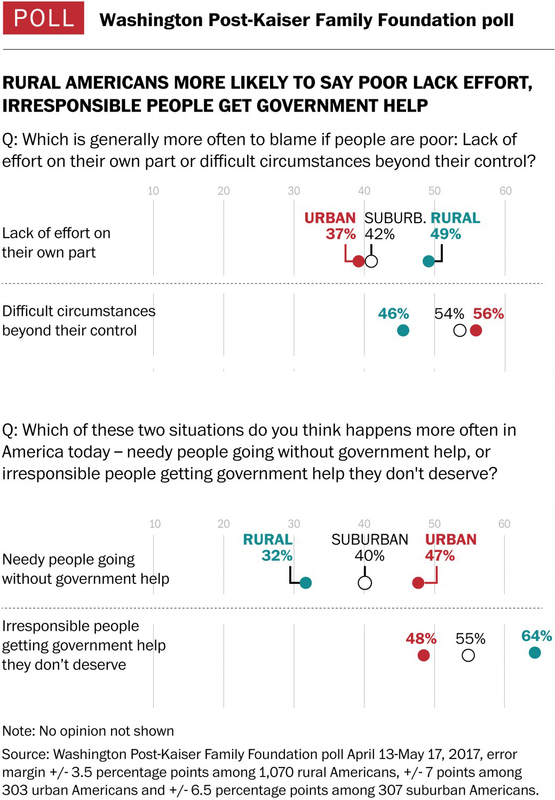 Is Trump changing how rural and small-city folks deal with each other in their communities? In Grand Junction, Colo., President Trump's "tone has a deeper influence than his policies," says The New Yorker, in a subhead over a story by Peter Hessler titled "How Trump is Transforming Rural America." Colorado, which Hillary Clinton won by 5 percentage points, is a distilled version of America at large: a landscape that is mostly rural and Republican, with urban Democratic enclaves. With 58,000 people, Grand Junction has the status of a metropolitan area, and Mesa County has about 150,000, but "There are dry mountains and mesas on all sides, and the landscape gives the town a self-contained feel," Hessler writes. It may not be rural by the numbers, but it is by landscape and culture. This is the Western Slope of the Rockies, bordering Utah. Mesa County is a Republican stronghold that has been plagued by increased crime, drug addiction and suicide since what Hessler called "the collapse of the local energy industry" from lower oil and gas prices. So when Trump talked about solving those issues, locals sat up and took notice. Voters didn't necessarily like him personally, but wanted solutions, and felt Democratic candidates were ignoring or caricaturing them, while he felt like a champion for them. "In Grand Junction, people wanted Trump to accomplish certain things with the pragmatism of a businessman, but they also wanted him to make them feel a certain way," writes Hessler. "And thus far the President’s tone, rather than his policies, has had the greatest impact." Hessler cites the behavior of Trump supporters toward journalists at rallies and fears that the Republican county clerk was "trying to throw the election to Clinton," after Trump said the election could be rigged. A good bit of Hessler's 6,460-word story is about the local newspaper, The Daily Sentinel, which ran an editorial just before the election defending the news media against Trump's attacks. Trump supporters accused the paper of liberal bias and being "fake news," and when a state legislator made that charge, Publisher Jay Seaton suggested in a column that he might sue. He backed off, telling Hessler, “Maybe those words have lost their objective meaning.” Seaton is part of a Kansas Republican family that bought the paper from Cox Enterprises in 2009. “The party is too accommodating of elements that I would consider fringe, bordering on hate groups,” he told Hessler. "During the election season, it’s common for some people to cancel their subscriptions, but last year the Sentinel lost more of them than usual," Hessler reports. "That’s one of the ironies of the age: The New York Times and The Washington Post, which Trump often attacks by name, have gained subscribers and public standing, while a small institution like the Sentinel has been damaged within its community." UPDATE, July 20: Megan Fromm of Grand Junction writes in The Denver Post that Hessler's "expert analysis" and similar stories are "not inaccurate," but "I feel a fragile potential for more" in her classrooms at Colorado Mesa University. However, most leave for Denver or other cities after graduation because they dislike "geographic isolation and an often oppressive uniformity of thought that comes with living in a relatively remote valley." 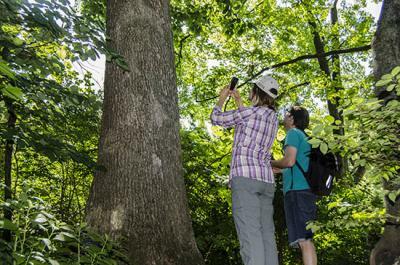 A new smartphone app encourages the public to help scientists with research to help protect and restore trees. TreeSnap was developed by the University of Tennessee Department of Entomology and Plant Pathology and the University of Kentucky Forest Health Research Center as part of a $3 million grant from the National Science Foundation Plant Genome Research Program. Washington State University and the University of Connecticut are also collaborating. TreeSnap focuses only on species that are economically important or have been affected by insects or disease, Carol Spence reports for UK AgNews: "Every day, American forests fight for their health against invasive species and pests. The app will provide scientists with more eyes in the field, giving them a greater reach to locate resilient trees that will advance their studies, whether they are working on breeding efforts or genomics to help in forest restoration." The app's developers are working with several tree research and breeding programs to use gathered data in different projects, Spence reports: The U.S. Forest Service's Northern Research Station "will use data on ash and elm to help them in their fight against the emerald ash borer and Dutch elm disease. The Forest Restoration Alliance and the Hemlock Restoration Initiative will use information on hemlock to find trees that are resistant to the hemlock woolly adelgid. The American Chestnut Foundation is gathering data on trees that are resistant to chestnut blight, in the hopes of adding them to breeding and research programs." The app gives researchers a way to get data through reporting private land owners reporting data, important in the East, where most forests are privately owned. It prompts users to collect data including habitat, height and health, trunk diameter and quantity of seeds or cones. GPS will automatically log the user's location, but precautions have been taken to protect users' privacy. More information is available here. A new study from the Centers for Disease Control and Prevention found that you're generally less likely to get cancer if you live in a rural area, but more likely to die from it, than someone living elsewhere in America. Though rural Americans are less likely to get most cancers, they are more likely to get colorectal and cervical cancer, as well as cancers related to tobacco use. And they're more likely to die from lung, colorectal, prostate, and cervical cancers than urban and suburban Americans. The CDC says the rural death rate could be higher because people don't have access to health care services, or if they do have access, don't get screened, or wait until too late to get screened. The keys are getting people screened and getting them access to treatment, Dr. Electra Paskett, co-leader of the cancer control research program at The Ohio State University Comprehensive Cancer Center, told Ann Pietrangelo of Healthline. The CDC researchers' suggestions for reducing rural cancer incidence and death include promoting healthy behaviors and increasing screenings and vaccinations. Government must get involved too, they say. States need to participate in comprehensive cancer-control programs and work with local governments, researchers, health-care providers and advocates to enact better health policies. Could Pruitt's religious beliefs shape EPA policy? 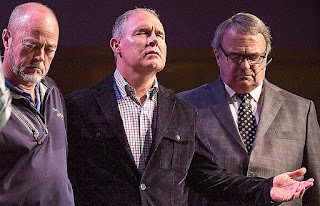 Scott Pruitt, center, prays at his church in Broken Arrow, Okla.
Pruitt attended three Bible study sessions in March run by Capitol Ministries, whose president is more fundamentalist than the SBC and issued a supplemental reading that strongly stressed a dominionist attitude. "EPA did not respond to numerous requests for comment," Heikkenen reports. "Requests for Pruitt's schedules past March 31 have not yet been returned." In the video, Heikkinen shies away from saying that this admittedly circumstantial evidence describes Pruitt's feelings: "I haven't spoken to Mr. Pruitt about his beliefs, and so I'd be hesitant to say exactly how his religion may play into it. But people who I spoke to for this article were saying that, you know, if someone really strongly holds this idea of dominion, then you might have this idea that you have authority to use the earth . . . instead of focusing on more of the stewardship side. There's also this idea that if God is in control and has a divine plan for the planet, that there isn't really a need to act as a person because God has already preordained what will happen."